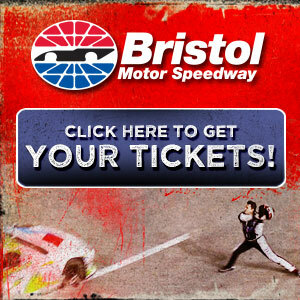 It's NASCAR on NBC again, beginning in 2015! But how will ESPN/ABC handle this? 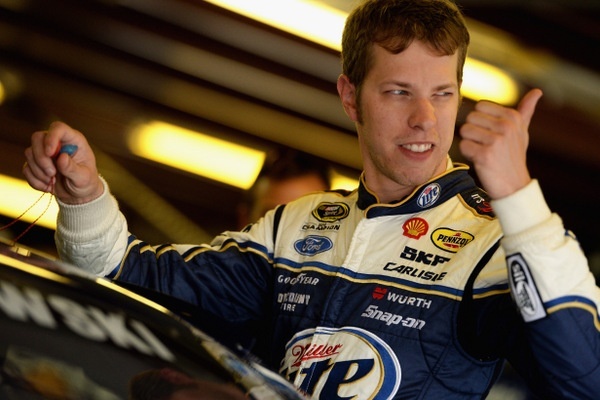 When will Brad Keselowski get his mojo back and get feisty again? 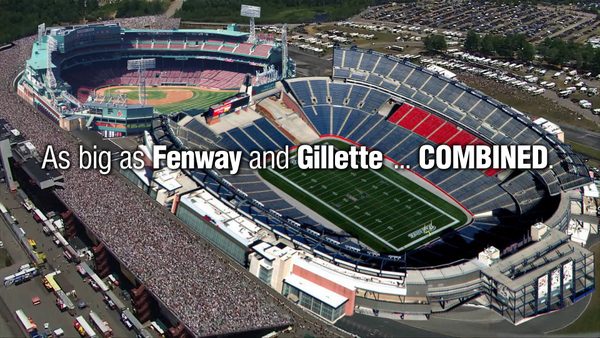 Here Sunday? Toyotas rule Daytona: Kyle, Matt and Clint. But will they finish the 400? Matt and Jimmie: another showdown coming at Daytona? Brad Keselowski appears to have left his game on the north Texas plains, where his team was busted for that trick rear-end setup back in April. Over the year's first seven races, including the Texas 500, Keselowski was solid and hot, with shots to win four of those, and averaging a seventh-place finish. But since that bust, and the penalties, and appeals, the sport's defending champion has averaged a woeful 20th-place finish on average. He hasn't won a Sprint Cup event since Dover last September. He's fallen to 13th in the standings. 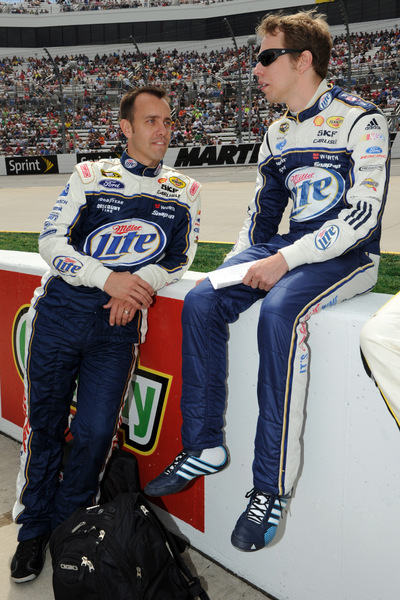 To make the playoffs Keselowski almost certainly needs to win a race by the Richmond September cut. Time to turn things around, clearly. And winning the pole for Sunday's New Hampshire 301 (301 laps) is a good start. Plus, Jimmie Johnson will start the 1 p.m. ET race dead last, after that 'too low' mistake in Friday qualifying. Plus, this flat one-mile is one of Matt Kenseth's worst tracks. That sets up the early line for this race as Keselowski versus Kurt Busch versus Kyle Busch....with questions surrounding Denny Hamlin, typically a strong runner here but at the moment recouping from hard crashes at Kentucky and Daytona the last two weeks. The track has shown odd 'weepers' in turn three, water seeping up through cracks in the asphalt. That's bothered drivers. And teammates Jamie McMurray and Juan Pablo Montoya have had surprising tire problems. Montoya crashed early Friday and went to a backup. McMurray crashed Saturday. "I felt it pop, or go flat, really early, I just couldn't get slowed down," McMurray said. "Every time I got on the brakes it wheel-hopped. I felt like I was going to turn right. "We cut a left-rear tire down. It's the exact same thing that happened to Juan Pablo the third lap of practice yesterday. It's weird, because we had just put new tires on, and actually added air to the left-rear, trying to make it better. We hadn't had a problem, but we were just trying to be safe. "So it's a little puzzling that it blew out, when we were trying to be more conservative." So early on in this three-hour event much of the focus will be on Johnson's charge from the rear, and whatever strategy tricks crew chief Chad Knaus can dream up, and on Keselowski's performance up front. However Kes isn't known as a front runner here. In his seven previous Cup starts he's led a total of only 10 laps. But remember races here frequently come down to fuel mileage gambits....and crew chief Paul Wolfe is one of the sport's wiliests. Keselowski, whose refreshing personality and determined talking points have made him a media fav, has been good for the sport, in the brief two years since he came into his own. It has been to the sport's detriment that NASCAR executives have seen fit to castigate and muzzle Keselowski so frequently for expressing his feelings. 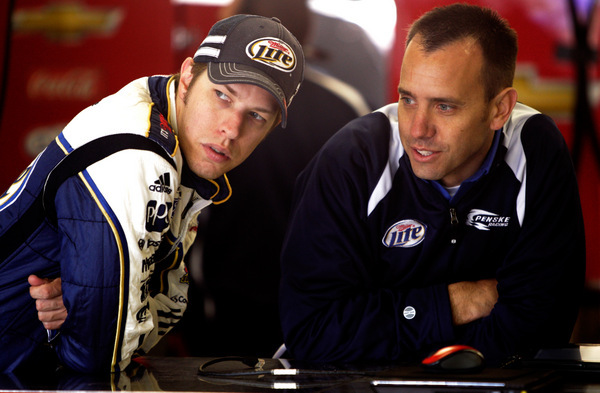 Can Keselowski and Wolfe get back in the game? It's half-way through the season and they haven't really done much at all since early April. Not that time is running out; there are still eight races till the playoff cut. And Keselowski and Wolfe have been streak players. But they certainly need to start getting some momentum. Sunday here, with Johnson in a hole, is opportunity. "I think our team is ready," Keselowski says cautiously. "We have been close. We've had the speed the last few weeks to get the job done, but different scenarios have bitten us. "There is a sense of urgency but not a sense of panic. We are eager to get going, we are hungry and feel we can do it. "But I don't feel a sense of panic. There are still two months of racing to get into the chase. We have fast race cars, and if we do our part, we don't need any help. If we do our part, we don't even need any luck." However there is the nagging sense that something is missing here, the spark simply can't be seen. Keselowski has been key to the team's performance as much for his energetic work as cheerleader and point man as for his work at the wheel. And Keselowski just hasn't been all that fired up lately....perhaps feeling the cumulative weight of all that NASCAR nitpicking. The sport would be much better off with a refired Keselowski, and his team would be more of a threat, it seems, if Keselowski could once again feisty on up...and if NASCAR officials would just shut up and let 'em all race. But Kes insists he's still got the fires burning, that the weight of being the sport's champion isn't weighing too heavily on him. "I still have the same goal, and that is to continue to be a winner, and that is what fuels me inside. "The competitive fire that burns inside of me is still there... whether I was a champion or not. "I probably have it with a little bit more confidence, and I believe in myself and those around me a little stronger because of the championship. But as far as those core values, they remain the same. "....and if we can get over this little hump we are fighting through right now, there is no reason both cars at Penske Racing can't make the chase."